This property is partially subsidized through the USDA Rental Assistance programs for 31 out of 35 units. Conveniently located near buses, shopping, and churches. Non-smoking for new residents. 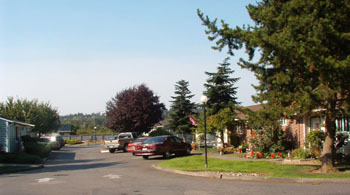 Monroe has a lot to offer but is still a quiet, rural community. This property has a sister property next door Friendship House II. Both have beautiful community rooms with loads of social activities. The majority of the apartments are cottage style, single-level apartments with gardens and MOST with private back yards!! Some two story walk-ups with decks. Very cute and homey. LOTS of flowers. CALL NOW! Note: Subsidy is not usually available at move-in due to the priority to assign it to in-house tenants first. You may be required to pay an income based non-subsidized rent upon moving in of $605.00 for one bedroom, $645.00 for two bedrooms ALL UTILITIES ARE INCLUDED. CALL NOW!